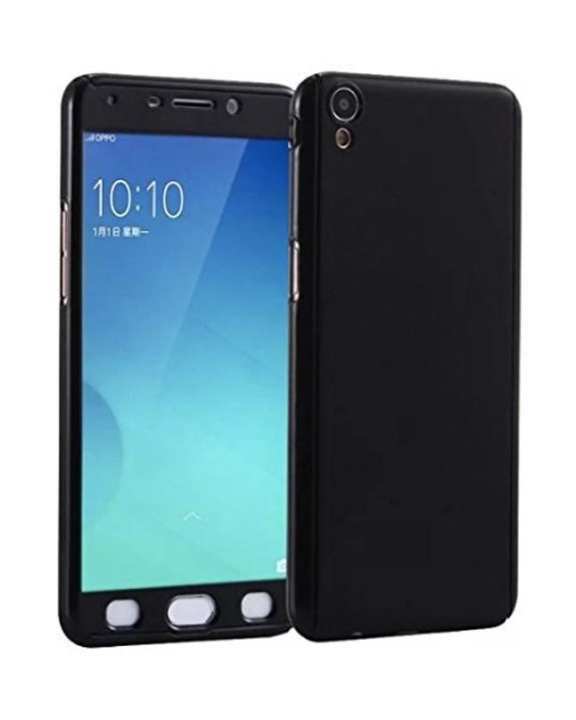 360 Degree Full Protection Case with Screen Protection for Samsung Grand Prime with Glass - Black Update extra protection with this Full Protection Case for your Samsung Note 5 Black that makes the surface nearly impossible to scratch, even with a knife. It gives ultra-protection with class as it has easy access to your phone along with contouBlack edges that provides a sleek feel to your device. Each corner and button is accounted with a precise fit seamless compatibility for perfect fitting It can easily be installed and removed giving your phone a stylish look. Hence, this full solid case protector acts like a bulletproof vest for your phone. Buy now from daraz.pk and flaunt your gadget.